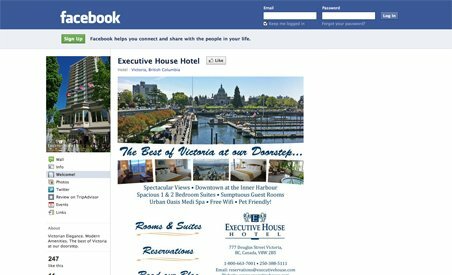 Steps away from Victoria's Inner Harbour and historic downtown, Executive House Hotel offers spacious rooms and suites with spectacular views! Caffè D'Amore, casual family dining, Bartholomew's English-style Pub. Doubles Oyster Bar and Barkley's Steak & Seafood Restaurant (see menus). While you're here, treat yourself to a relaxing massage at our Urban Oasis Spa.